Take up your paintbrush and douse it in splendid color. Summon your inner artist at Painters’ Pottery in Downtown Findlay, where a welcome chance to create is waiting. It’s fun and downright therapeutic both for adults and kids. Painters’ Pottery Owner Sandy Essinger opened her new studio at 540 S. Main St., Suite E, in April of 2018, an exciting return after closing a Tiffin Avenue location in 2009. Essinger said when she was a kid her mother used to make ceramics and had two kilns in the basement. When she came across a “paint your pottery” studio in North Carolina, she knew she wanted to open one in Findlay. Painters’ Pottery is located at 540 S. Main Street, Suite E near The Wine Merchant and Wilson’s! And Essinger is glad to be back. She enjoys connecting with other downtown businesses to support charities and getting to know her customers. It’s a craft anyone can enjoy. Essinger plans to celebrate the studio’s one-year anniversary the weekend of April 13-14 with events, sales and giveaways! During a snow day from school, my kids and I visited Painters’ Pottery on a whim and were immediately enchanted as we entered the studio. Painters can set up their work area at one of eight heavy wooden tables with benches, all configured differently for a friendly community setting. Shelves organized with abundant pottery and paint surround the tables along the walls. The shelves at Painters’ Pottery are lined with many options to paint! Drawn immediately to the pottery, our eager eyes searched for the perfect piece. The extensive inventory offers possibilities to suit anyone’s fancy – different sized and shaped plates and tiles; cups, mugs and bowls; various animals; dinosaurs; a selection of cars; objects, like a heart and star; seasonal or holiday objects; serving trays, all kinds of things. With so many fun options, it was tough to decide. There are options for everyone – even a Kyle Busch superfan! My 13-year-old son, a superfan of NASCAR driver Kyle Busch, selected a racecar for his project. Paying tribute to a lifetime love of the color green, my 10-year-old daughter went with a turtle. I took much longer to ultimately select a small hamster. It was cute, and made me think of my three pet hamsters as a kid. I planned to craft this one in the likeness of “Chester” and, in a wave of inspiration, painted the always motivating word, “GO!” on his belly. Find inspiration wherever you can find it! Along the shelves of pottery, a price is listed beside each piece and includes the piece itself and the cost of paint and studio time. Once you’ve selected your pottery you can choose from a wide array of paint colors and bring the bottles to your table. Beside the paint colors are helpful tiles that show what the paint will look like after being fired in the kiln with one, two or three coats. The excitement will be palpable as you wait to pick up your piece, normally within a week. Small paint palettes, swivel trays, various-sized brushes, sponges, cloths, stencils, and cups of water can be found on the shelves and tables for use. Painters should use lighter colors first, then finish with darker ones. If you can’t finish your piece during that first sitting, you can leave it at the studio and come back. Essinger asks, however, that you try to finish within a week or two. When your work is complete, she covers most projects with glaze and fires them in her kiln – at about 1,835 degrees – to reveal the finished product. It’s usually ready for pickup within a week. The space is large enough to accommodate walk-in customers, as well as to host birthday parties, Girls Night Out, and more! There is no need to make a reservation during regular hours, as some might think – just walk in. Painters’ Pottery also hosts birthday parties and special events. If you’re thinking Girls Night Out, on Fridays from 9 p.m. to midnight the studio is bring-your-own-beverage and adults only. And, if you’re like us and find you just can’t get enough of Painters’ Pottery, you can join their VIP (Very Important Painter) club for special deals and offers. They also sell snacks and drinks. We each enjoyed getting to assemble our own little workspace and bring our brushes to life. Music played in the background, and as I sat there carefully painting and chatting with the kids, I couldn’t help but feel relaxed. People beside us quietly conversed and a thoughtful woman helped my son make a stencil for his #18 car. Kids of all ages, some I would guess 3-years-old, were busy in their craft. Gray clouds swept past as cruel winds whipped crisply outside, but it was toasty and warm in the friendly studio. As my daughter, Rosalynn, and I were putting the final touches on our artwork, it became clear that my son, Ben, a detail guy, would not have time to finish that day. This was a joyous revelation for Rosalynn, who realized she would get to make more things when we would need to return for Ben to finish. A detail-oriented brother means more painting time for Rosalynn! In the week that followed, I was asked over…and over…and over again when we could go back to paint, and, “How many more days until we can get my turtle?” The excitement was palpable. The yearning to return, unbearable. When, at last we picked up our gleaming, glazed creations, we were delighted. So shiny and so, real, and…you probably didn’t know that actually my kids and I are true artisans. We ended up needing three trips – I estimate total time spent at four-and-a-half-hours – for Ben to complete his exalted Kyle Busch masterpiece. Truly a painstaking, impressive feat. In that time, Rosalynn made a turtle, a blue whale, and a yellow duck, and I added my touches to Chester and a spoon rest in the shape of a whale. If only Kyle Busch knew. Ben’s finished product – it would make Kyle Busch proud!  This blog post was written by Visit Findlay Blogger Sarah Mayle. Sarah is a wife and mother, preschool aide, and lover of all things Findlay. That isn’t much, is it? Learn more about Sarah and read more of her posts here!